Durable 3 mm PVC edge banding..
Configures in a variety of ways to suit your needs, combining unsurpassed design flexibility with durable construction. Commercial-grade worksurfaces and side panels are water-, scratch- and dent-resistant. Distinctive charcoal accent line beneath worksurface. Durable 3 mm PVC edge banding. Two wire management grommets. Full-height modesty panel. Use freestanding or combine with Return/Bridge Shell to form an "L" workstation; use with Desk Shell and Return/Bridge Shell to create a "U" workstation. 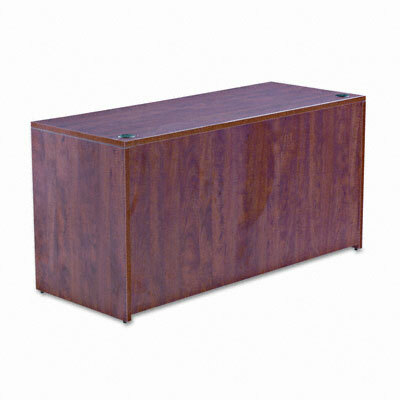 Add an Open Storage Hutch or File Pedestal for expanded storage capabilities.